Christmas, I absolutely love it. Like, honestly, I’m obsessed. I really enjoy being creative and making things but Christmas is the one time of year I really come into myself when it comes to crafts. The internet is brimming with Christmas crafts and DIY tutorials, it’s even on our TV screens now with the likes of Kirstie Allsopp with her handcrafted Christmas shows, there’s no getting away with it, so we may as well embrace it. The best thing about it though, is that it doesn’t have to be complicated. Sometimes the best creations are the simplest. Over the years I have made lots of little bits for Christmas. I’ve even been known to upcycle existing decorations, such as felt Christmas pudding decorations (which if my memory serves me correctly, I bought from Poundland, but any would work just the same), which I’ve painted the white part with some PVA glue and sprinkled on some glitter. They look amazing on the tree when the fairy lights catch the glitter, a simple yet effective transformation. Another simple decoration which I quite like, which could either be used to don your tree or even be used to decorate beautifully wrapped gifts is this felt Christmas tree. I’ve used 3 different colours of felt and cut them into squares, gradually changing in size. I’ve used green as the prominent colour and added in some burgundy to represent the decorations on the tree and then finished off with a gold / yellow square to represent the star atop the tree. Using a needle and thread I’ve sewn them all together by popping the needle through the top of the tree through to the bottom and then attached a thicket piece of felt to represent the tree trunk. Pushing the needle back through the tree I’ve created the loop In which you can hang the decoration but of course you could always attach some twine or ribbon in which to hang the decoration. 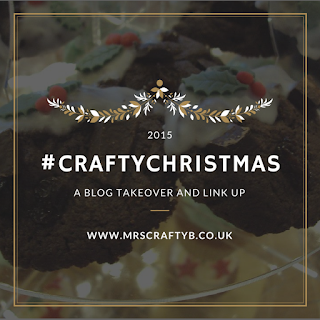 I’d love to see what creations you’ll be making this Christmas so will be popping back to take a look at Mrs Crafty B’s link up’s, but of course please pop by my blog and say hello, I’d love to welcome you over there. Many thanks to Mrs Crafty B for having me here, it’s been great. 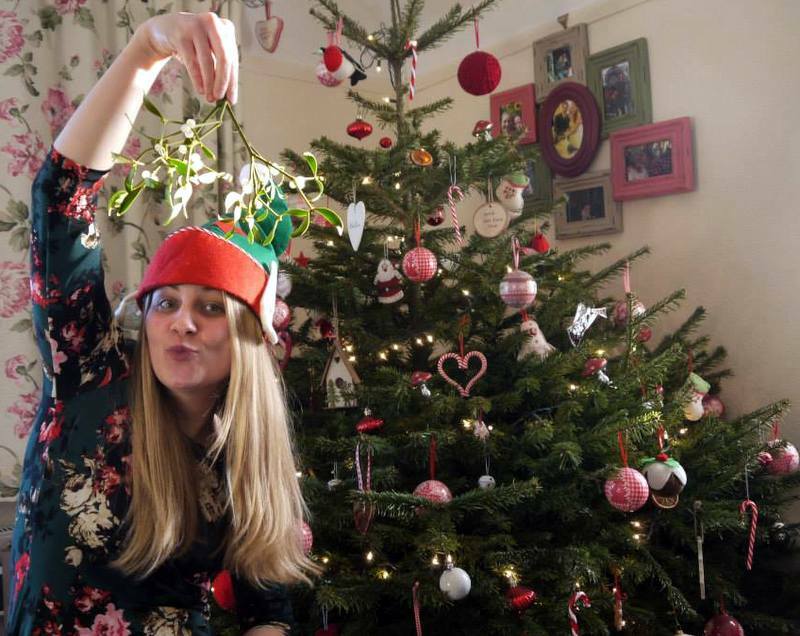 Thanks for sharing this cute decoration with us Gem! Do any of you other #CraftyBs have any handmade decorations to share? 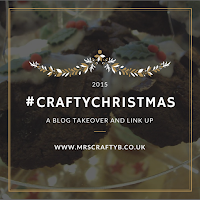 Don't forget to link your posts up to #CraftyChristmas below.